Musquash wallpapers for your PC, Android Device, Iphone or Tablet PC. If you want to download Musquash High Quality wallpapers for your desktop, please download this wallpapers above and click «set as desktop background». You can share this wallpaper in social networks, we will be very grateful to you. Muskrat – semi-aquatic animal, a mammal of the order of rodents. 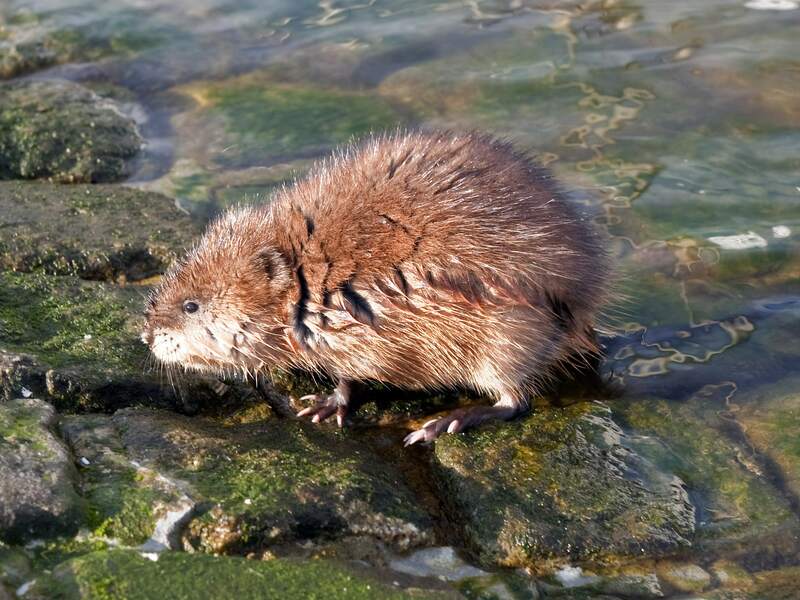 Because of the resemblance with the rat and the presence of musk glands, the muskrat is also known as “musk rat.” The size of the muskrat is much superior to the rat, but inferior to the beaver, who is also very similar. The size of the adult muskrat is in length from 40 to 70 cm, of which only about half are directly on the body, and the rest – on the tail. Weight muskrats can be from 600 gr. to 2 kg, it is the average from 1 to 1.5 kg. 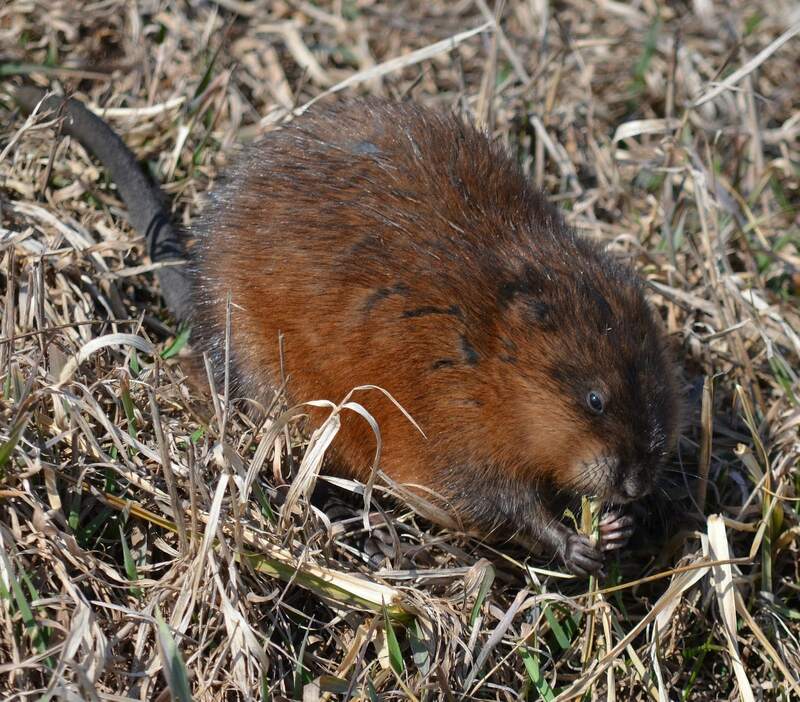 The body of the muskrat thick, rounded shape, covered with a thick dense coat. The neck is short, blunt-shaped head with a small high-set eyes, small ears, barely protruding from under the coat. The limbs are small, with sharp claws, the hind legs are equipped with larger front and incomplete swimming membranes. Muskrat fur is composed of two layers – short soft undercoat and a longer, coarse guard hairs. Fur color varies in shades from brown to black, although preferably a dark red. On the belly fur lighter until the grayish-blue. Muskrat Tail long, scaly with sparse hairs, and a fringe of coarse hair, flat shape, flattened laterally. When swimming tail serves as a rudder. On the ground, he is a great support when sitting muskrat. When walking, the tail leaves a distinctive mark on the earth’s surface that is easy to recognize. In males near the tail are two inguinal glands secreting musk secret that muskrat uses to mark its territory. 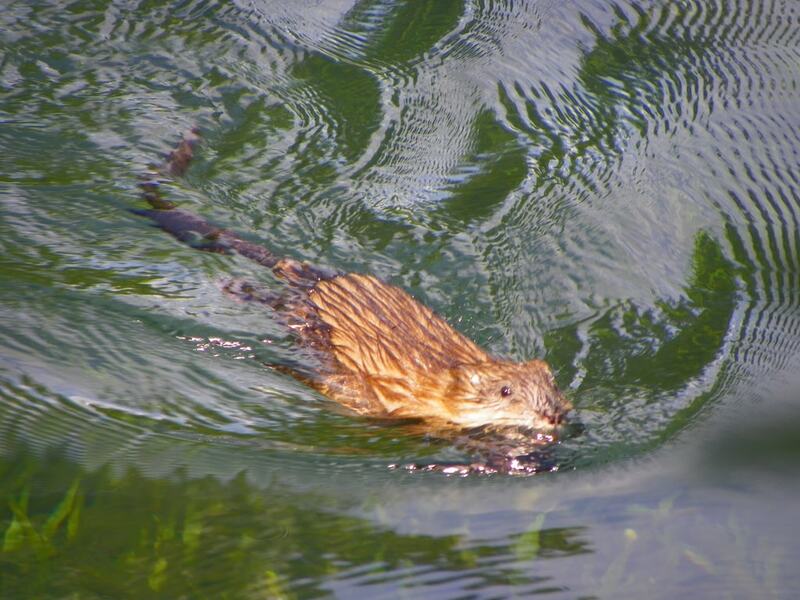 Muskrats feed mainly reeds and other aquatic plants, their digestive system is designed for green vegetation. In summer they feed on the roots of aquatic plants. In winter, they are swimming under the surface of the ice to get to the plants. They do not store food for the winter, but sometimes eat the insides of their lodges or stealing food from the beaver. In general, plant material is about 95% of their diet. But they also feed on small animals such as freshwater mussels, frogs, crayfish, aquatic insects, small fish rarely. Muskrat has a North American origin, in Russia this animal was acclimatized in 1928. Currently, muskrat habitat is very wide – almost all of North America and much of Eurasia – from Europe to China and Korea. The Russian – from the western borders through the forest, steppe and taiga zone until Primorye and Kamchatka. 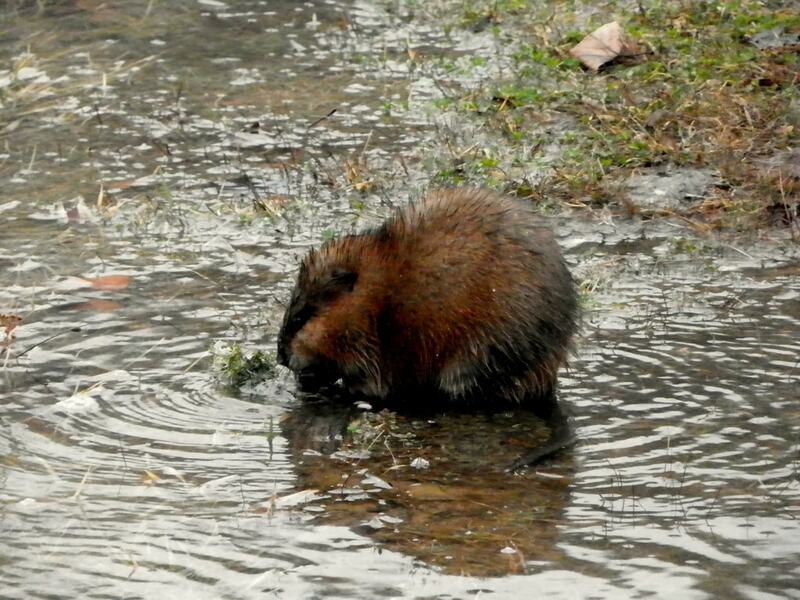 Semi-aquatic lifestyle, muskrat causes its settlement on the banks of rivers, streams, lakes, ponds and marshes. 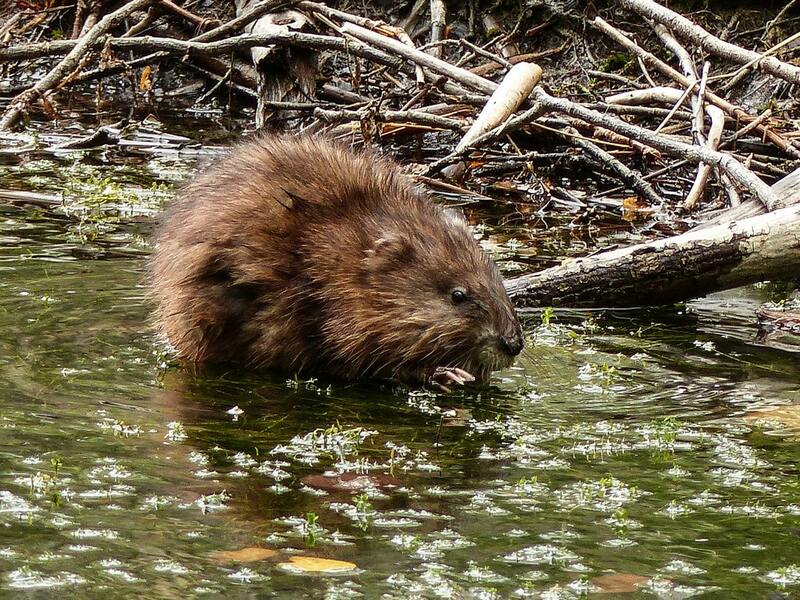 Muskrat prefers freshwater marshland, but ubiquitous in freshwater and brackish waters with rich vegetation. This rodent is not settles in places where bodies of water freeze to the bottom, or where there is no riparian vegetation. For housing muskrat digs on the high banks of reservoirs shallow burrows with underwater entrances, or builds a hut in the reeds, sedges, Rogoza. The nesting chamber in such holes is located above the water level. Often in the case of water level fluctuations in the reservoir, the camera is located on two floors. Inside the housing is lined with moss and soft grass, where the whole family waits muskrat very cold winter. The temperature in the lair never falls below 0 ° C.
Muskrat lead the same lifestyle as the beaver. In early spring, the male chooses a female, and together they begin to build their homes. Living muskrat monogamous family groups, each group has a defined territory, which is marked by males. Dimensions of the territory of one family muskrats make the area within a radius of about fifty meters from the house. Spring grown generation is banished from the site and begin an independent life. During the spring, adult males often fight each other for territory and females. Many people are injured or killed in these clashes. Also, there is cannibalism when overpopulation within a feeding territory. Muskrats are active at any time of the day but are most active at night, at dusk or at dawn. 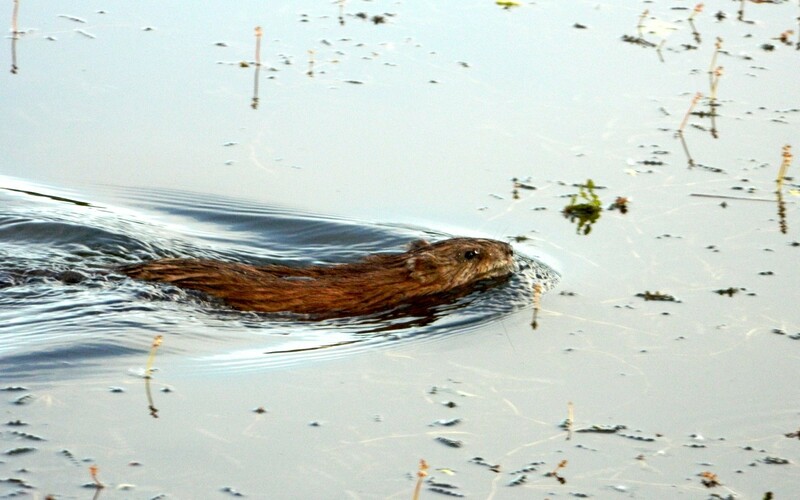 Muskrat – a good swimmer, it can stay under water for 12 – 17 minutes and swim at a speed of 7 km / hour. It is able to accumulate additional reserves of oxygen in the blood when submerged under water, thanks to the increased content of hemoglobin in blood and myoglobin in the muscles. 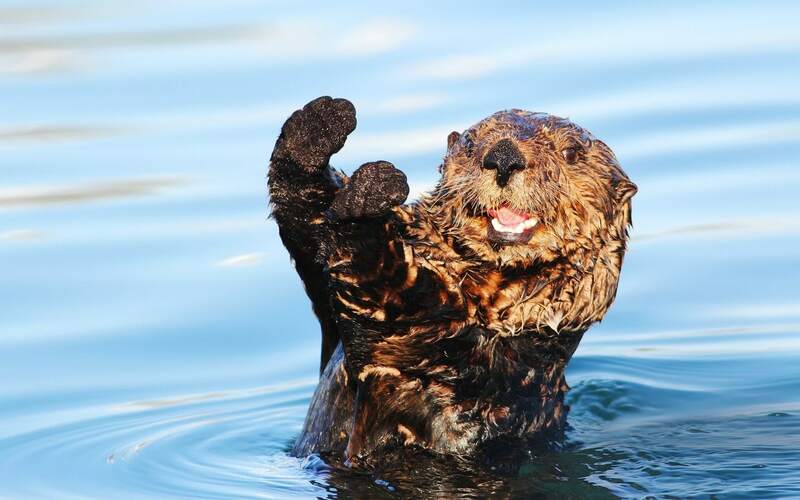 Muskrat also has another special adaptation to an aquatic lifestyle – geterotermiya, the ability to regulate the blood flow to the limbs and tail, and the extremities of muskrats usually somewhat cooler than the body. However, muskrats are subject to rapid changes in temperature, and dry, hot weather is especially detrimental effect for them. Due to this adaptation to life in semi-aquatic environment muskrat on land rather clumsy and often falls prey to many predators. Muskrat is able to issue squeaking and screeching sounds. Her senses are poorly developed (sight, hearing and sense of smell). Muskrats become sexually mature in 7-12 months. Like most rodents, muskrat are very fertile. During the year, the female is able to play two or three litters depending on the region, and in each litter, on average 6-8 pups. The gestation period is about 30 days. The cubs are born blind and naked, receive their sight, only two weeks later. Weight babies is only about 22 grams. However, they develop very quickly and within a month of becoming self-sufficient, but for winter stay with their parents. In the spring, after the winter, grown-generation settles. The maximum duration of a muskrat living in their natural habitat is 3 years, in captivity they can live up to 10 years. Despite the high rate of reproduction, the number of the muskrat population is always at the same level. This is explained by the presence of numerous natural enemies. Muskrats are an important food resource for many other animals, such as mink, fox, raccoon dog, wolf, lynx, bear, eagles, kites, jackal, weasel, large owls and hawks. Enemy muskrats are also large predatory fish, such as pike. Muskrat is one of the most important commercial species of fur. According to its quality muskrat fur is very similar nutria fur and beaver, but it is more soft and silky. Muskrat fur is beautiful, brilliant, dense and pleasant to the touch. Used primarily muskrat fur sew women’s coats and hats. Due to the high level of water resistance skin Muskrat, muskrat fur products slightly wet. Durability fur average. 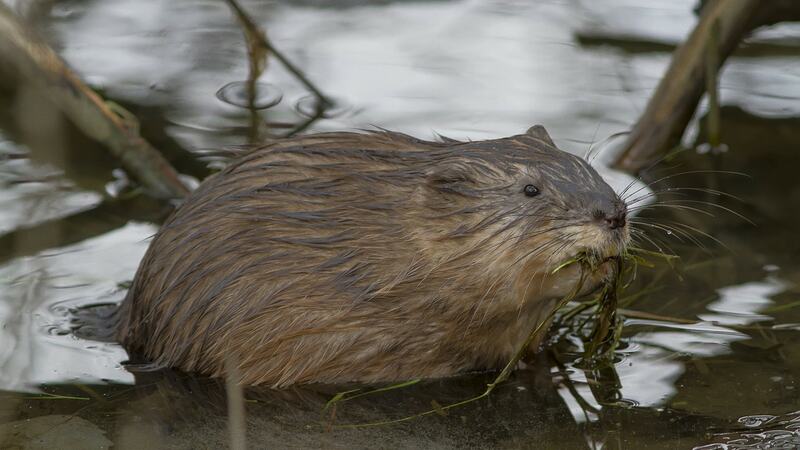 Muskrat meat is edible, the taste is reminiscent of a rabbit and nutria. Due primarily herbivorous diet, meat, muskrat delicate taste and goes well with a variety of sauces. Secretion muskrat musk gland is used in the manufacture of perfumes. 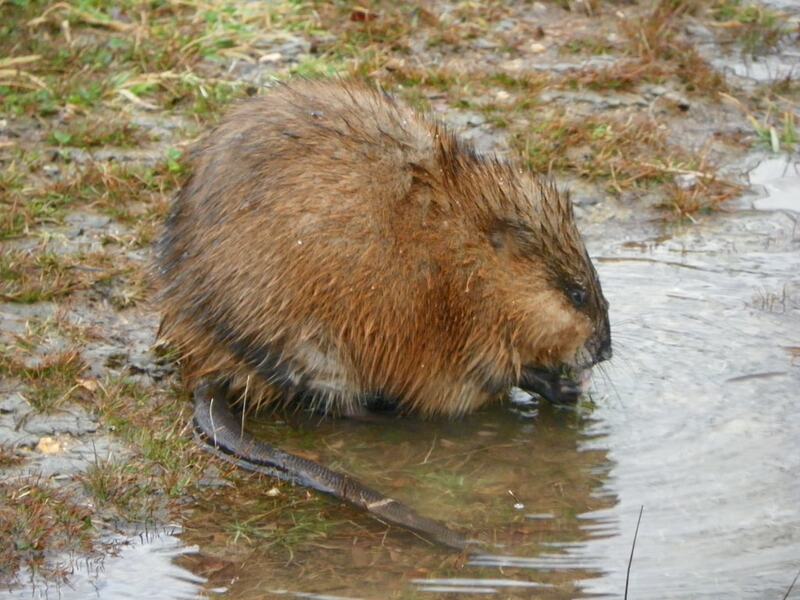 In some European countries, the muskrat is considered a pest because of the vigorous activity of the rodent by digging burrows, which causes damage to dams and dykes. 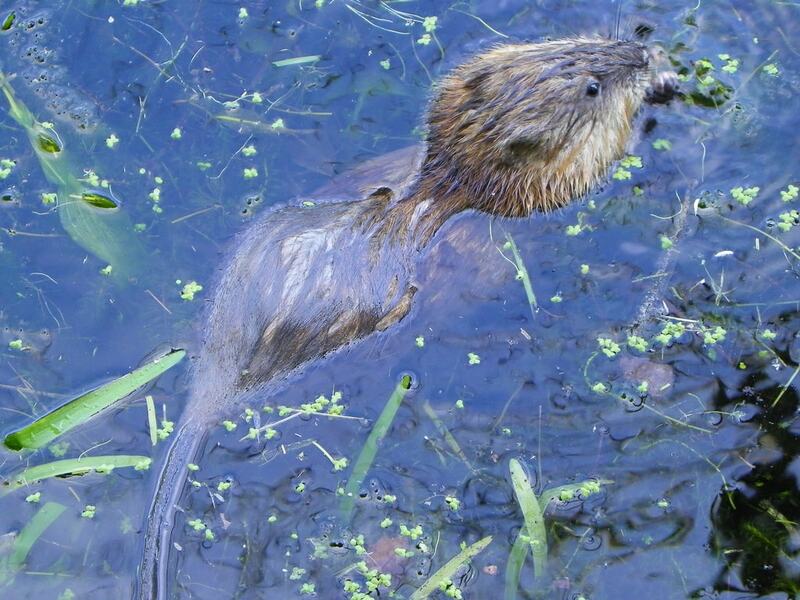 Muskrat sometimes eats corn and other agricultural and horticultural crops. 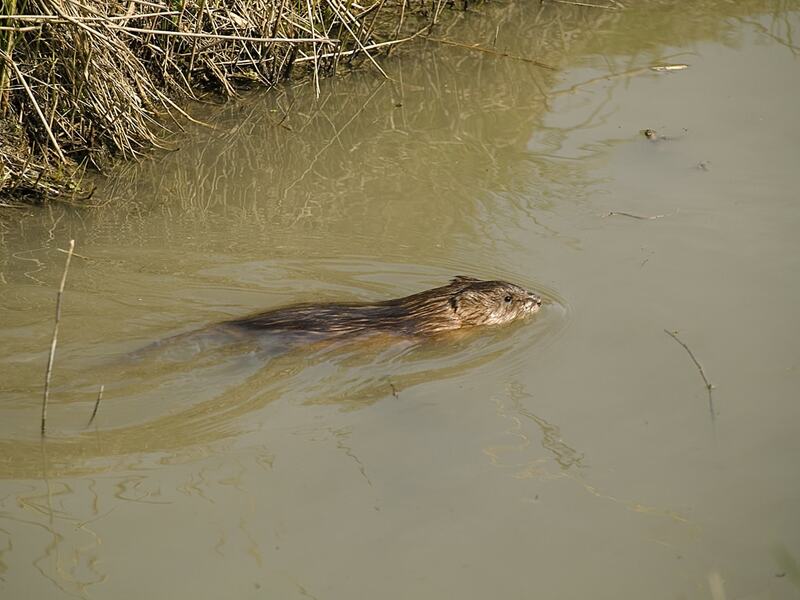 Also, the muskrat is dangerous to humans due to the fact that it, like many rodents, may be a carrier of such dangerous diseases such as rabies, tularemia, plague, spirochetosis, leptospirosis, leishmaniasis and others. 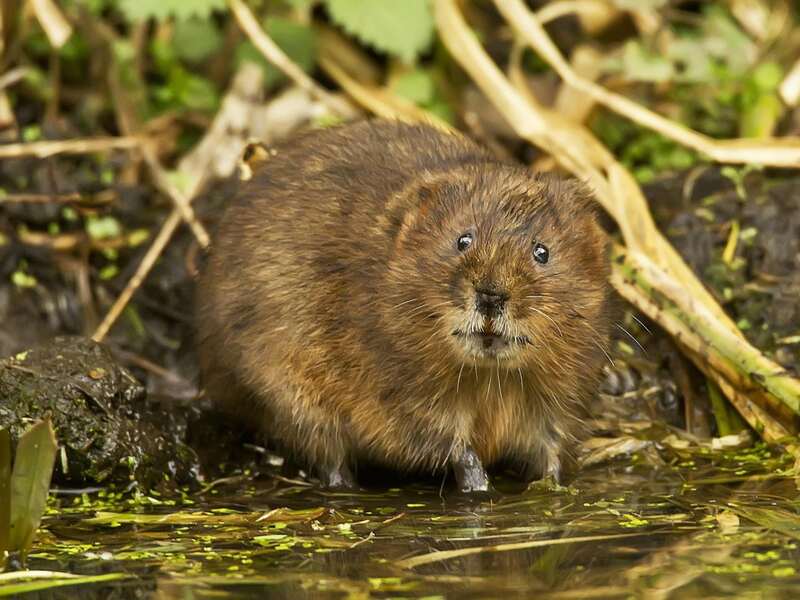 Sometimes mistakenly called muskrat water rat is actually a water rat is a different animal, a close relative of the muskrat.